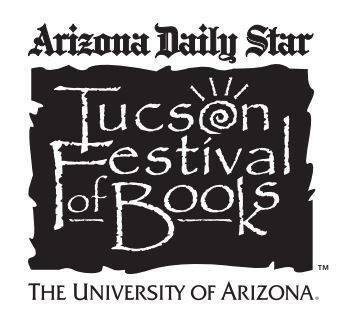 Join us for a bus ride to and from the Tucson Festival of Books with fellow book lovers all while avoiding driving, traffic, and parking! The day begins with coffee and pastries at your chosen pickup location. Please meet at 6:45am in Phoenix and 7:15am in Tempe. We will arrive in Tucson for the 9:30am opening. The bus will be hosted by one of our fabulous booksellers. Enjoy the book festival at your leisure, deciding how to spend your time independent of the store. We will meet again at 5:45pm to get on the bus and return to Phoenix/Tempe. Cost does not include entrance into any of the ticketed events at the festival. It only covers cost of travel, coffee + pastries. Seats are limited. Register now to reserve your seat. During checkout you will be asked to select your preferred pickup location. Refunds will not be issued within 1 day of the event.